Dallas, Texas, 25 August 2017 – Adam R. Villanueva, a partner in the Dallas-based business & innovation law firm of Chester PLLC, was recently selected for inclusion on the 2017 D Magazine Best Lawyers® list. 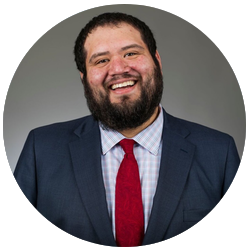 Mr. Villanueva will be listed in the intellectual property practice section, although his practice also covers a broad range of business, and technology transactional matters. D Magazine®, a Dallas based publication, rates outstanding Dallas lawyers from various practice areas who have attained a high degree of peer recognition and professional achievement. The annual D Magazine® “Best Lawyer” selections are based on a rigorous, multiphase process, including peer nominations and review, and independent research. This is the second time in as many years that Mr. Villanueva has been named to the D Magazine® Best Lawyers list.